Hello, and welcome to Green BBC and the Wishful News- trying to spread positivity, kindness and compassion to all viewers. As always we start with a look at the wellbeing of local, consenting populations, since the stock market and GDP were abolished. And wellbeing rates in the East continue to soar, as a sense of community begins to flourish and people begin to develop knowledge in the importance of kind acts towards others in improving their own sense of wellbeing. A particular nod to Mr Trevithick of Cornwall who has sent in a picture of him washing his neighbours car- a lovely image made even better in the knowledge that this car has no been driven for three years since mass improvements in local transport made individual car travel almost unnecessary in many rural areas. More great news on Green technologies. In the years since Green Tech have become viable commercial ventures due to ecotax legislation making companies have to focus much more on the carbon footprint of their companies, we are proud to announce that the first environmentally friendly car has been produced that actually heals the o-zone layer. Every journey that you take in this car means that the chemical element O3 (or o-zone) is pumped back in to the atmosphere, thus re-building the o-zone layer! Plus due to government initiatives you can buy this car for £500. The goal is for all drivers to own these O-zone cars, as they are being dubbed by the media, by 2015. And we hope that this means that the polar ice caps will begin to re-freeze by 2020 and we should have Bangladesh back by 2040 which as we all know was one of the countries with the lowest sea levels and so was sub-merged in the ‘great melt’ of 2017. Plans are in place to have all public transport converted to o-zone engines within the year also. The government notes that this comes at a high price to the public who are paying via their taxes but they can bask in the knowledge that their children will be inheriting a planet able to sustain life. And for those people who do not plan to have children they can bask in the glow that they are doing a kindness to the all living creatures on the planet which has been empirically shown to improve the wellbeing of the majority which is brilliant! And we bid a fond farewell to this season of the BBC’s much-loved ‘Strictly come doctoring’; it was a close vote at the finish, but the way that Dr Elsey removed the tumour without damaging any of the surrounding nerves wowed the judges and captured the nation’s heart. And when I say nation, I of course mean tuned-in global population as the concept nation-state was abolished last month. A big congratulations to Dr Elsey on winning her top consultancy job for the newly re-un-privatised NHS. As always, immigration is no longer seen as a problem as we appreciate that our birth right means nothing when it comes to where we are allowed to live in the world, and so there continues to be no immigration news. More on that story in the 10 o’clock news. The most expensive football club in the world has been put together in the Premier League this weekend. Many critics are saying that this is only a wealth individual coming in and buying the league, and they may be right, but it must be remembered that since 50% corporation tax came half of the £500 Million worth of transfers will be paid in tax to the state and the government promise that a few million will be going directly to providing a new boiler to all who are in need and at risk of being too cold over the winter months. Critics of this initiative say that this money could be better spent but the figures suggest that this outset could save the NHS £1 billion per year so Natalie Bennett has told critics to shut up until they have something to say that isn’t rhetoric fear-mongering and empty criticism. Even with the money spent on boilers millions will still be left to pump back in to the infrastructure such as improving local sports provisions making it more likely England might actually win a world cup- though bookies say probably not! A big thank yo to @meangreenradio for the idea of ‘Wishful News’; if you enjoyed this blog then please also consider following them on Twitter. Food-banks have become a significant issue in England within the last few years, with more and more families living below the breadline and parents not being able to feed their children. 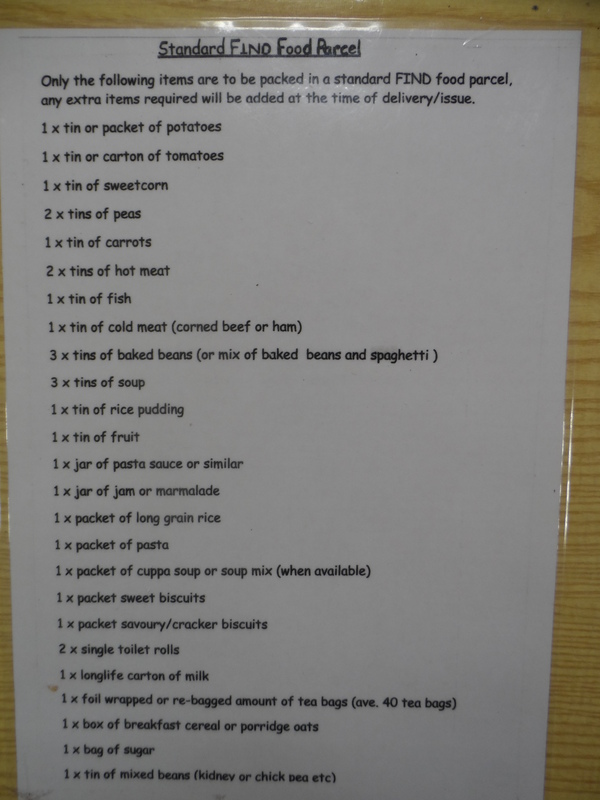 For those who are unsure what a food-bank entails, put simply it is a non-profit, charitable organisation that distributes food to those who struggling to buy the necessary food to avoid hunger. The economy is supposedly recovered but one look at the numbers of people who are being forced to turn to food-banks and you start to question what kind of recovery this government think they have created. The national population of the UK is about 64 million. 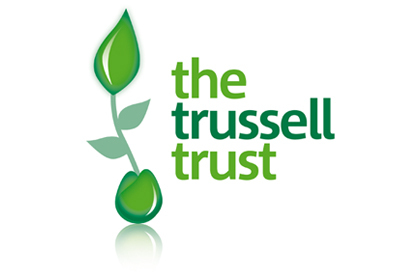 The Trussell Trust, who are the largest national food bank provider, state that 913,138 food parcels were given out last year; a huge number and the Trussell Trust are no means the sole providers of Food-banks so it can be safely said that the number is much larger than this. This means that, conservatively in the UK, on one million occasions someone has had to admit that they cannot afford to feed themselves or their family. This is not just a problem for the unemployed, as many food bank users are in at least part-time employment, but with low wages, higher prices and the problems inherent in zero-hours contracts many employed people are still struggling to pay their way. 20.29% of Trussell Trust food-bank users cite low income as the reason that they needed to use a food bank. It seems that in Ipswich locally, food-banks are a big issue which should be near the top of any local political agenda. People can use food-banks as many times as they need to, but as this is true for all food-banks if we look at the numbers as a percentage we get an idea of the need for each area. The national need is 1.7%, the North East is the area of greatest need in the country 2.27% with the East Midlands recording the lowest need at 0.82% with the East itself just below the national average at 1.53%. These figures allow us to start creating some comparisons; the Trussell Trust do not provide food banks in Ipswich; the bulk of this work is done by the fantastic work of FIND, which I will talk more about later. FIND state that they provided 4,148 food parcels last year in Ipswich alone; this could be written as a percentage against the population of 3.01%. This is huge; it is significantly more than the region with the greatest need and is twice the need of the East itself! This suggests that the need for food-banks is a major problem for Ipswich. As mentioned, FIND (Families in Need) are the food-bank provider in Ipswich and they are doing amazing work, proving food for those in dire need around the whole of Ipswich. They try to provide fresh goods like fruit and vegetables as much as possible, they never supply anything out of date and they will meet the dietary requirements of all who need their help. Maureen Reynel cannot be praised highly enough for the work that she does for the local community; she sources the goods, organises the needs, keeps a warehouse of food goods in order, ensuring nothing is wasted by going out of date before it is sent out, and gets the food out to those who need it with the aid of a small but hard working group of volunteers. And donations do not come easily, you look in stores such as the Morrisons on Sproughton Road and they have a collection point for food, but unfortunately this is only dog food. Tesco twice a year run a campaign to collect for local food banks but unfortunately this has always been co-ordinated by the company FareShare who have taken the collections out of Ipswich as they have not known about FIND. 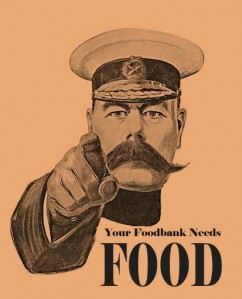 There is a huge amount that needs to be done; ultimately a town that has no need for food banks is the ideal, and this will only come about by raising awareness in individuals in a way that shakes up the local government to take a stand, and for this to work up to a national level. The dream is there, but with the current political systems it remains distant. What we can do in the here and now we have already started, and everyone can support. The Green Party in Ipswich are campaigning to help FareShare work with FIND to keep local donations local. We are campaigning shops and local businesses to support FIND, by donating food, money and by setting up collection points. This is something anyone can help with; if you know a local business who may be able to donate or provide a collection point then please take action on this! You can also visit the Quaker’s ‘Friends Meeting Hall’ on Fonnereau Road, Ipswich which also provides a collection point. 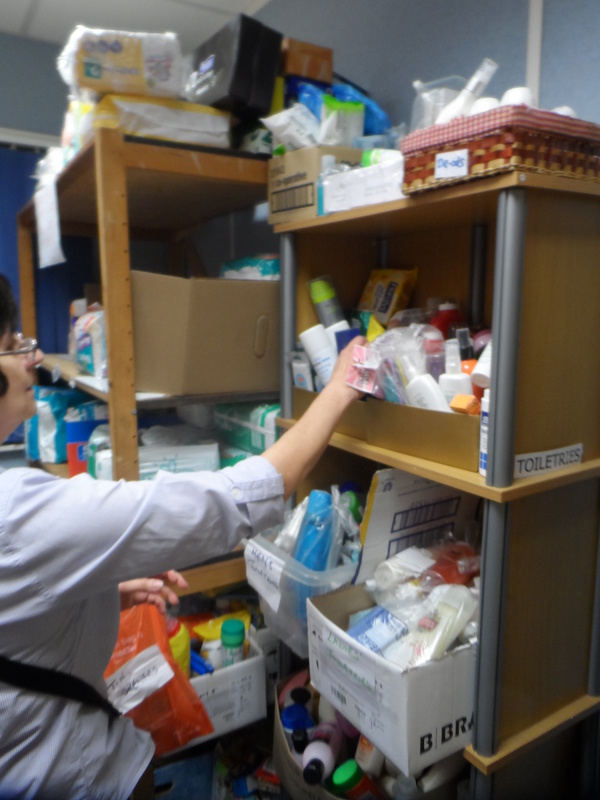 Maureen Reynel and her team of volunteers at FIND are doing brilliant work but they are in great need to ensure that they can provide for those who are in even greater need, so anyway that you can help would be hugely appreciated. The Green Party Ipswich will continue to campaign on this vital issue, addressing it in every way that we can!